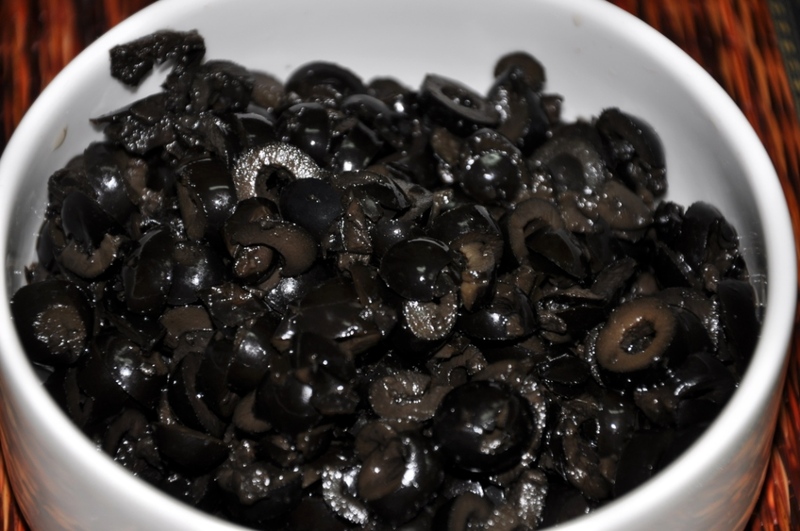 Simple but addictive Black Olives Dip! I love olives in all its forms and shapes, whether it is green, black, pickled, sliced, sour, sweet or salty. The olive tree itself is fascinating. Driving through the countryside, I have seen olive trees that are so old, they are from the Roman times!!! Olive trees have a special place among most nations of the world, for many it is considered a blessed tree. In the ancient Greek times and to this day, the olive branch is a symbol of peace and victory. Historically, brides were crowned by olive branches, and, also olive branches were awarded to Olympic victors. The olive tree is mentioned in the Torah, Bible and the Holy Qur'an. The black olives dip is one of the easiest recipes you will come across, yet it has a great flavor and is a great crowd pleaser. But beware this black olives dip could be addictive!!! 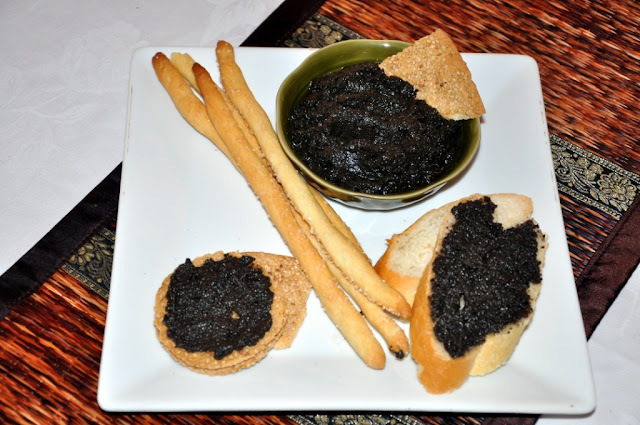 I usually prepare black olives dip when we have guests over and I serve it with crackers, sticks, chips, slices of french or pita bread. If there are any leftovers, the black olives dip makes a welcomed sandwich spread the next day. I hope you enjoy it as much as we do. Drain the olives from their water. Place all the ingredients in the food processor and pulse till you have a consistent taste. Be creative about how you arrange and present your dip. Hope you enjoyed today's easy recipe: Black Olives Dip. Bon appetite. 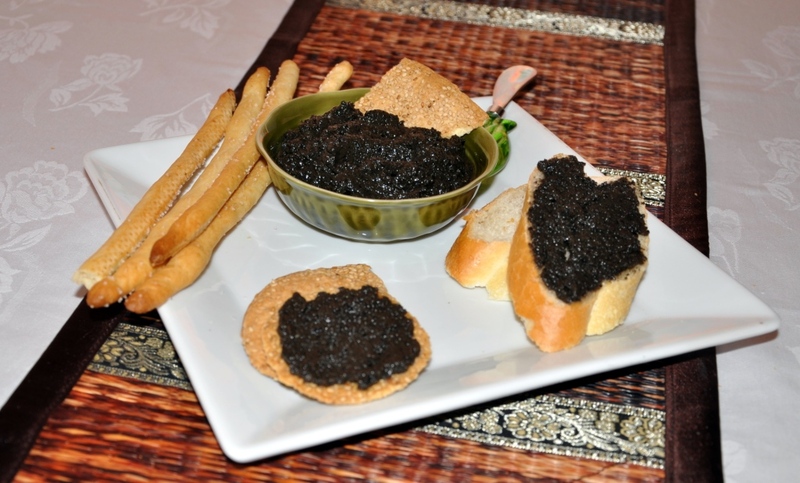 What is you favorite dip recipe?